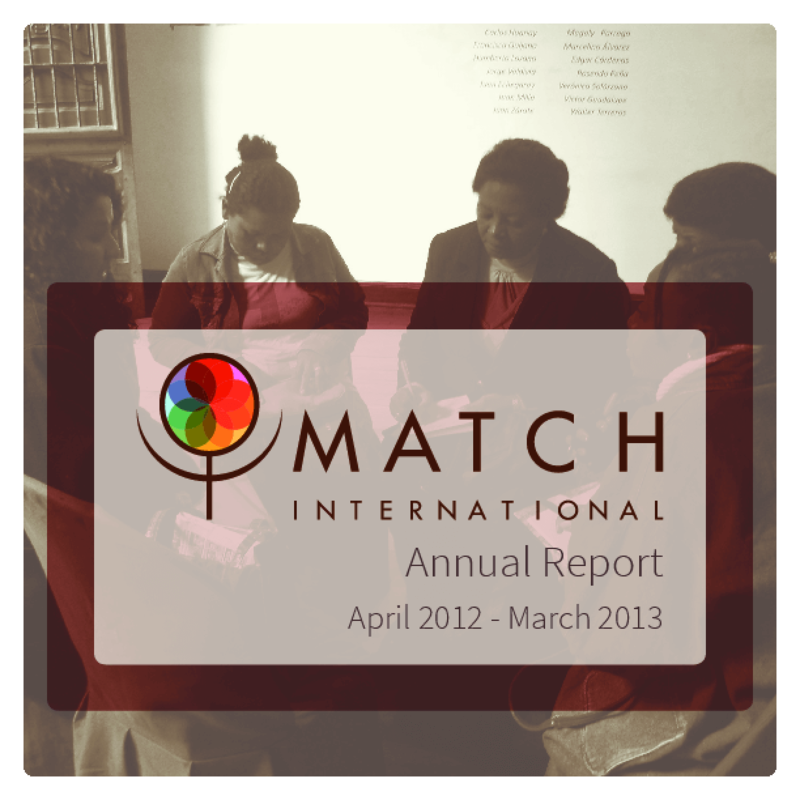 MATCH has been faced with many challenges, but as an organization that has been driven by the power, resilience, and collective leadership of women around the world we continue to surmount these obstacles and feel stronger than ever. 2012 was an exciting year for womeninternationally, and we were proud to be part of the ever-growing momentum and demand for gender equality. Copyright 2014 by MATCH International. All rights reserved.